WKOG editor: Hard lessons … never learned. When an NGO like Canopy [“Canopy believes that collaboration is key and that businesses can be a powerful force for solutions, and works with more than 700 companies to help ensure their supply chains are sustainable.”] states publicly that an agreement turned out bad … one can only begin to imagine how bad it must really be, behind closed doors. 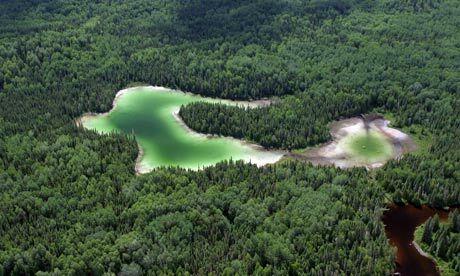 For further reading see the May 26, 2010 article “The Canadian Boreal Forest Agreement Reconsidered – ENGOs sign over right to criticize, companies continue to log caribou habitat” by Dawn Paley. Also see the article Feb 22, 2010 article “Corporate Social Responsibility As A Political Resource” by Michael Barker. And don’t miss the video below: Uploaded May 19, 2010 | The Canadian Boreal Forest Agreement – Toronto News Conference highlights – Avrim Lazar (FPAC) and Richard Brooks (Greenpeace).